One of the best-known cloud ecosystems is Salesforce. Salesforce Inc. is a global cloud computing company originally known for its CRM product. Forbes magazine ranked it the most innovative company in America every year since 2011 and Fortune ranked it 19th in their 100 Best Companies to Work For in 2013. Salesforce expanded its offerings from just CRM to become a popular cloud platform and, in the process, has become the envy of many other companies. Salesforce’s cloud platform has grown to support nearly every part of a business, from sales to manufacturing. In fact, the Salesforce ecosystem has become a kind of industry in and of itself; software developers are constantly creating new apps for the platform to expand the reach of the platform and add to their customers' experience. 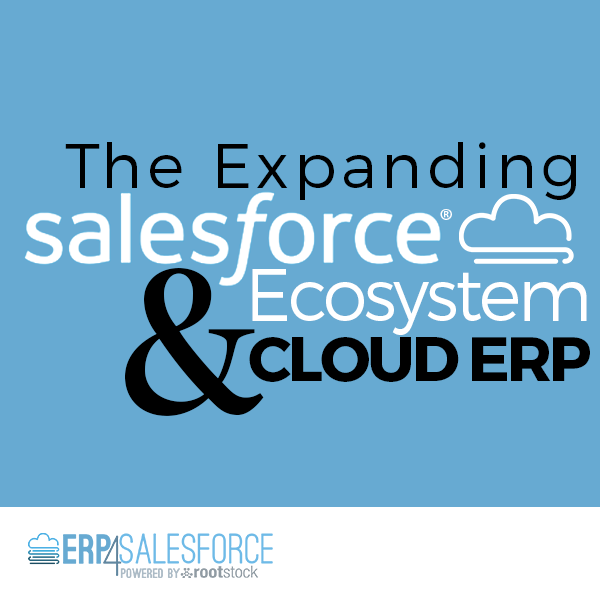 Want to learn more about the growing Salesforce Platform? Read the article here!